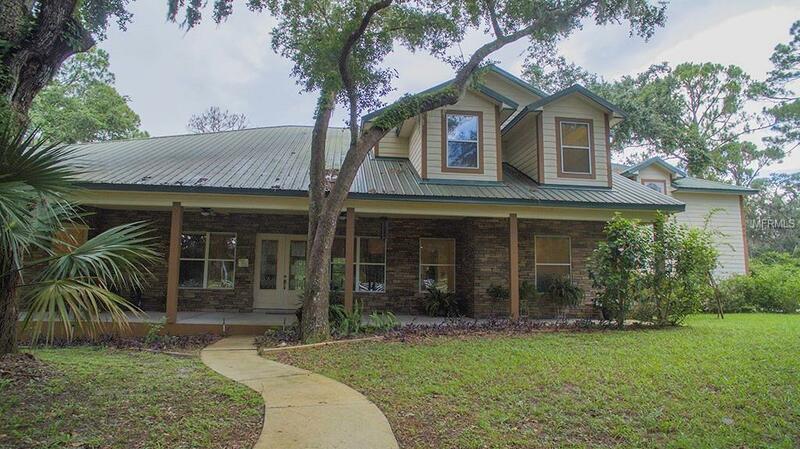 Custom designed & quality built 4 BR/3.5 BA home w/nearly 5000 sq.ft. 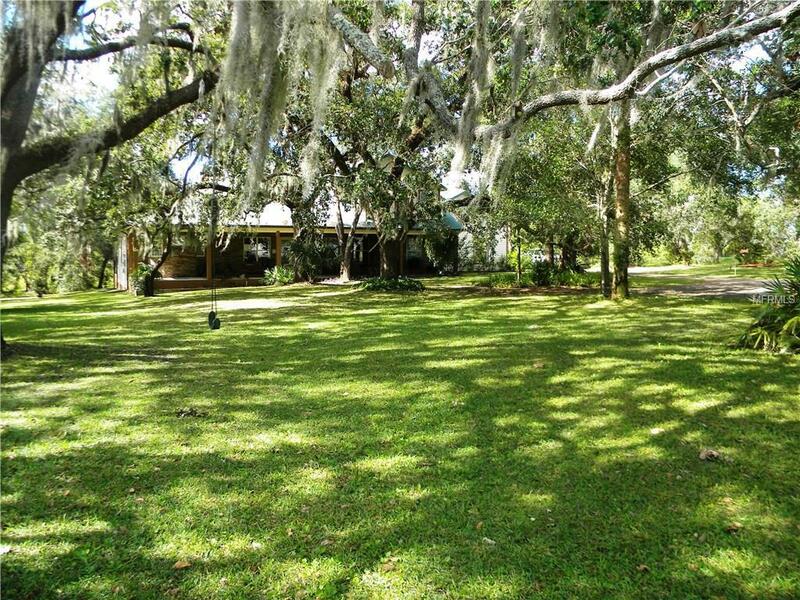 on 2.5 acres! Only 30 minute drive to Orlando to the south and 30 minute drive to New Smyrna/Daytona Beaches to the North! 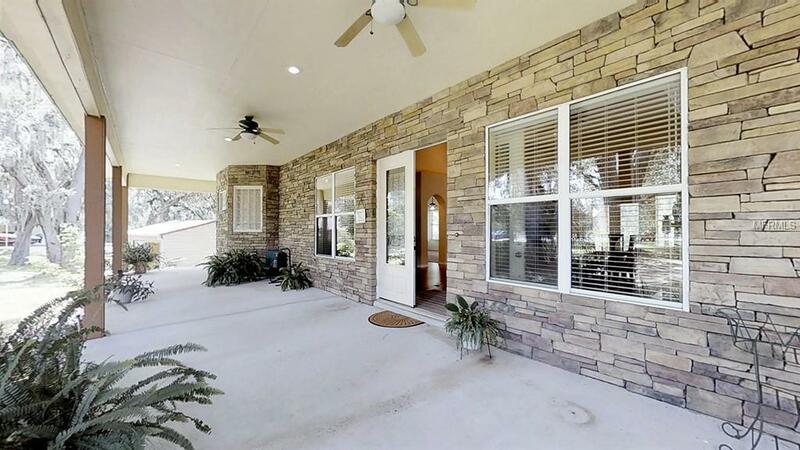 Screen-enclosed pavered pool & patio area offers salt-water pool with waterfall & caretaker system, and summer kitchen! RV Garage/Workshop for all your Toys! 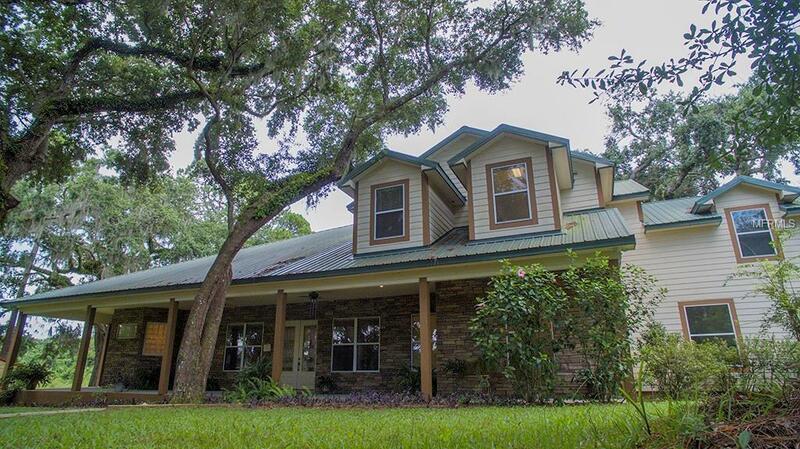 69 ft.wide covered front porch overlooks the park-like treed setting! Leaded-glass French doors take you to the Great Room w/28' cathedral ceiling, 52" floor to ceiling stacked stone fireplace & custom media center! The gourmet kitchen features granite countertops & breakfast bar, gas range, double ovens, stainless steel French door refrigerator, walk-in pantry & breakfast nook! The game room is complete w/7' pool table & cue sticks and pool-planned half bath! The Master Retreat is nearly 400 sq. ft. of spaciousness w/10'ceilings plus the Master Bath w/His&Her closets includes Centurion Safe, jetted tub, glass-enclosed large shower w/2 shower heads plus 4 body wash heads + double granite top vanities! Also on the ground floor is a guest room and full tub bath, and laundry room complete w/washer/dryer and laundry sink!Upstairs floor plan includes loft, 2 bedrooms, a full bath and 28x24 Bonus room, perfect for home theater or activity room! The 30x45 RV garage boasts 3 overhead doors (drive-thru,)RV hookup & workshop area w/second floor storage! 10 zone irrigation system! Tankless water heater! 4-zone programmable A/C! Metal roof!No HOA restrictions! Call today! Listing provided courtesy of Porzig Realty.